Hungary will not facilitate the holding of a Ukraine-NATO summit at defence minister level, Hungarian Foreign Minister Péter Szijjártó said on Friday (19 January) after a meeting with Vasyl Brenzovych, the head of the Society of Hungarian culture in Zakarpattia (a region in southwestern Ukraine), according to Radio Liberty. The announcement is a probable setback to Ukraine’s hopes of clinching NATO membership, which the country revived this year. 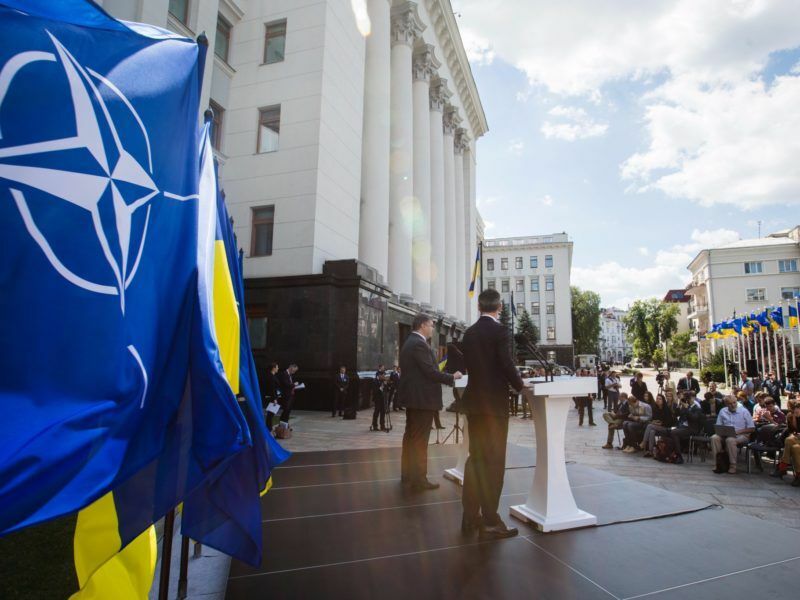 Ukraine will begin discussions with the North Atlantic Treaty Organisation on an action plan with the aim of joining the US-led alliance, its leader said on Monday (10 July), while the country would work on reforms to meet membership standards by 2020. 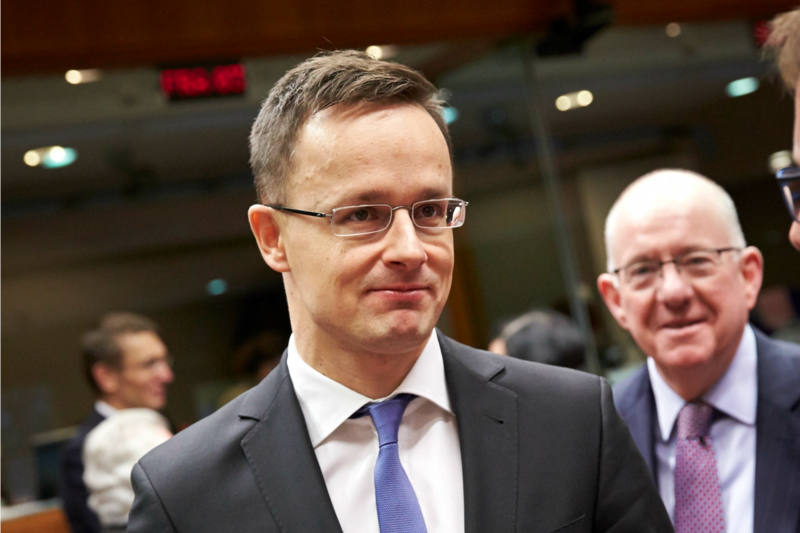 Szijjártó emphasised that Hungary’s position remains unchanged: Budapest won’t support the European integration aspirations of Kyiv so long as it violates European and international rights. Why is Hungary blocking Ukraine's Western integration? Ukraine President Petro Poroshenko signed a new law on education on September 25, which angered Hungary because it reduced the rights of minorities. In particular, the law implements a 12-year-long school programme and reduces the number of classes that are taught in the languages of national minorities. Hungary is one of the biggest opposers of this law, as the country believes it violates the rights of the minorities. “Hungary is ready for consultations and making agreements with Kyiv as to the education law, but only given that their content corresponds to the interests and wishes of the Hungarian community in Zakarpattia,” Szijjártó emphasised. Hungary will ask the European Union to review its ties with Ukraine over Kyiv’s decision to scrap teaching subjects in languages of its ethnic minorities, including in Hungarian, from its secondary school curriculum. He said Budapest will continue to view the education law as intended against international and European norms, bilateral agreements and basic agreement between Kyiv and Budapest. He also noted there haven’t been any consultations between the Ukrainian and Hungarian authorities and representatives of the Hungarian community since the Venice Commission gave its conclusion of the education law. “Budapest is following the further hearing of laws that discriminate rights of national minorities in the Verkhovna Rada with concern,” he said. The Hungarian government, for whatever reasons, is doing the right thing to disrupt US plans to support the morally, politically and financially bankrupt EU & US creation in Kiev. Poroshenko’s violent putsch group in Kiev should be isolated internationally and not supported and in any way. Ukrainians themselves are seeing that their so-called government are leading them to more poverty, war and endless corruption. Hopefully they will react sooner as opposed to later.